Living my life of Wow! This year has been a wild ride! Last year at this time I was in Paris, France—my first time on “the continent” with no plans to move. Now I am sitting in my new home, in my new office surrounded by boxes and chaos . . . loving it. After more than a decade of dreaming about living on the Oregon Coast, I do. After a life time of wanting to travel to Europe, I did. I am living my Wow! I am also living with chronic pain. Although I have great pain management skills and options, stress increases my pain levels. Traveling and moving are stressful, even when they are trips you want to make or moves that get you to this kind of sunset view! I remember clearly the day I decided that I was tired of just surviving and coping with chronic pain and began my journey of thriving. I had already accomplished so much in terms of pain management and coping. I was working again at a job that allowed me to use my knowledge and skills in an authentic way. Although I was a survivor, I was just surviving. I was so exhausted after work and spent my free time resting and recouping to do it all over again. I wanted to thrive. That realization brought me to the journey of uncovering the Five Steps to Thriving with Pain. Due to stress, this year has been one of the most painful years in the last five but I am thriving with pain. I am living a fuller life, effecting more people, and settling into my new home. 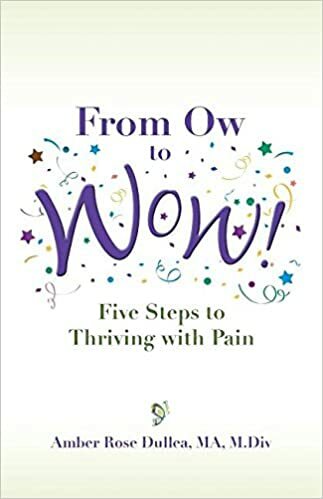 Oh, and my second book, “From Ow to Wow! Five Steps to Thriving with Pain” just hit the market! I am “Willingly Observing Wonder!” and I want to share this with you. I hope you find these posts inspiring, informative, and authentic.